I have an OnePlus 5T running Oxygen 5.1.4 (which is based on Android Oreo 8.1.6). 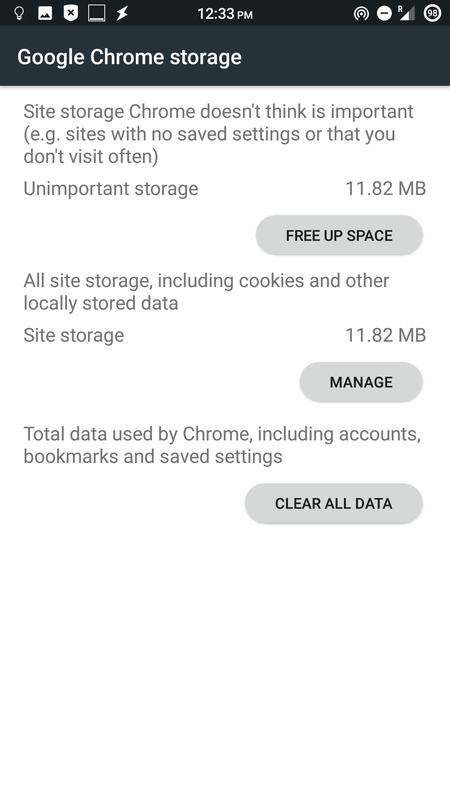 According to the app DiskUsage, Google Chrome is using almost 15 GB of data. Apart from this insane amount of space (which no app should ever use), I've been trying to figure out a way to backup the data (and remove the data I don't want). But I don't see a way of doing this without unlocking the bootloader and possibly flash the ROM. I've enabled developer mode, I've tried backing up using the ADB drivers, but Chrome don't seem to let me backup it's app data. Specifically asking to backup Chrome using adb backup -noapk -f Chrome.ab com.android.chrome only leaves a 1 kB .ab backup file. But clearly the app data is there – and even DiskUsage can see it – and the device is not rooted. 1. 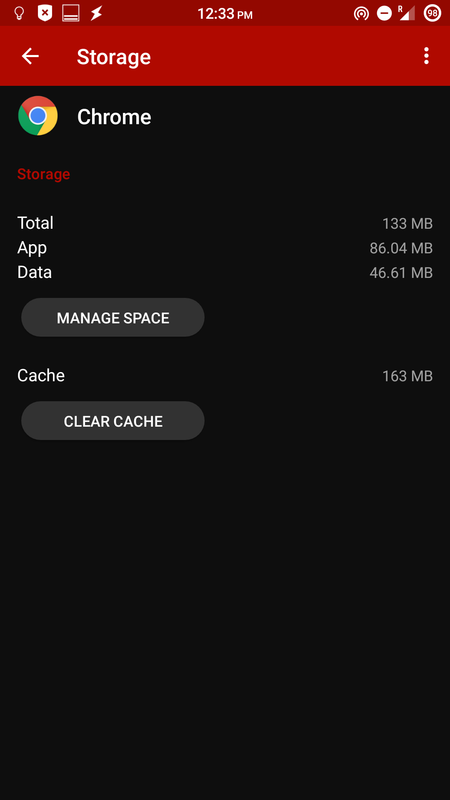 Is there a way for me to see the app data of installed apps, without having to root the device? 2. Is there a way to backup Chrome, only so that important stuff is backed up (open tabs, the state of each tab, history, saved passwords, browser settings, etc) and neglecting god knows what Chrome uses the space for. I'd imagine these would be stored in SQLite3-databases under /data/data/com.android.chrome/, but as I'm unable to access the files I cannot know for sure. You might be browsing lots of and possibly media rich websites. To ensure this is the case, go to Settings → Applications → list your system apps then select Chrome → Storage → Manage Space → delete the irrelevant data. 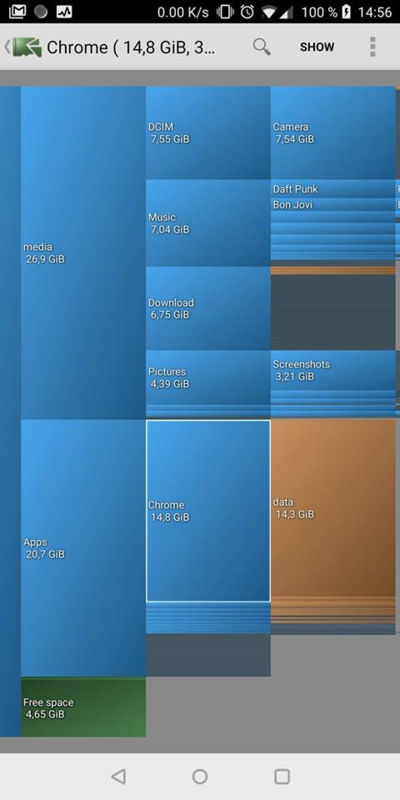 I once had 5-6 GB of space occupied by Chrome and I selectively cleared the irrelevant data. As for ADB backup issue, see this Github page. Not the answer you're looking for? Browse other questions tagged adb backup chrome-for-android insufficient-memory or ask your own question. Is there a way to automatically load insecure content in Chrome browser for Android? (adb) How to Backup things from /data/data using a shell terminal emulator on the same device without root? Why is my Android not restoring the app data from its Google Drive backup?